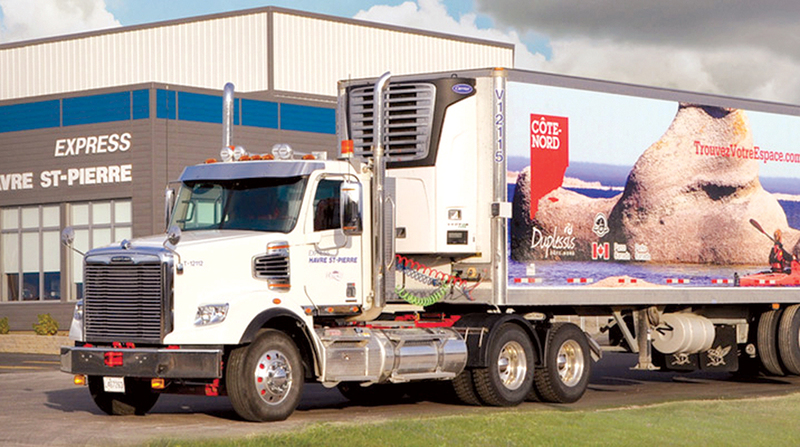 Manitoulin Group of Cos., a Toronto-based transportation and logistics company, recently announced a pair of acquisitions, one marking its first foray into the U.S. market, as it continues to expand in North America. The company said it bought Quebec-based Express Havre St-Pierre while its Manitoulin Global Forwarding division purchased N/J International Inc., a Houston-based global supply chain provider. Terms were not disclosed for either deal. The acquisitions mark the ninth and 10th purchases of freight and logistics companies in little more than a year. The big surprise was Manitoulin’s announcement Nov. 13 of its first purchase of a U.S. company, indicating the Canadian operation is eyeing American business. The company already boasts one of the most extensive transportation networks in North America, but the acquisition of N/J International — a provider of fully integrated transportation and logistics solutions covering air and sea freight, warehousing, crating, distribution and supply chain management services — will help Manitoulin reach some of the top companies in Texas. Brian Fainter, the former president of N/J International, will serve as president for all U.S. sales and operations for Manitoulin Global Forwarding. Manitoulin Global Forwarding offers international freight forwarding, customs brokerage, crating, warehousing, global time-critical delivery, project logistics and heavy haul, office moving, ground transportation and supply chain management. Manitoulin Global Forwarding services more than 220 countries and territories worldwide. Its acquisition of an American company is not hard to read. Manitoulin’s expansions in Canada also continue. On Nov. 6, the company announced it bought Express Havre St. Pierre (EHSP), a Quebec freight company that provides truckload, less-than-truckload, and other services, including the movement of dangerous goods. Based in Havre-Saint-Pierre, at the mouth of the Gulf of St. Lawrence, EHSP has terminals in Quebec City, Varennes, Baie-Comeau and Sept-Iles, as well as one in Labrador City, Newfoundland. The family-owned company did not return a message from Transport Topics. Gord Smith, CEO of Manitoulin Group of Cos., said the EHSP acquisition demonstrates the company’s commitment to coverage in Quebec and across Canada, including the rural and remote areas along the Atlantic coast. Smith said EHSP will operate as a stand-alone aspect within Manitoulin companies. Manitoulin has been on a mission of consolidation for the past year. In January, it bought Direct Right Cartage of Brampton, Ontario. At the time, it was the seventh purchase in the previous 12 months and it was the company’s first in the intermodal shipping sector. Then came the eighth purchase in April of IPE Logistics of Toronto. According to its website, the Manitoulin Group offers expedited less-than-truckload and truckload, crating, customs brokerage, international freight forwarding, global time critical delivery, residential and commercial moving, heavy haul, logistics, warehousing and supply chain management.